Durham Highway is more than just a resource in responding to emergencies. Our department has an active fire prevention program to stop fires and other emergencies from happening. 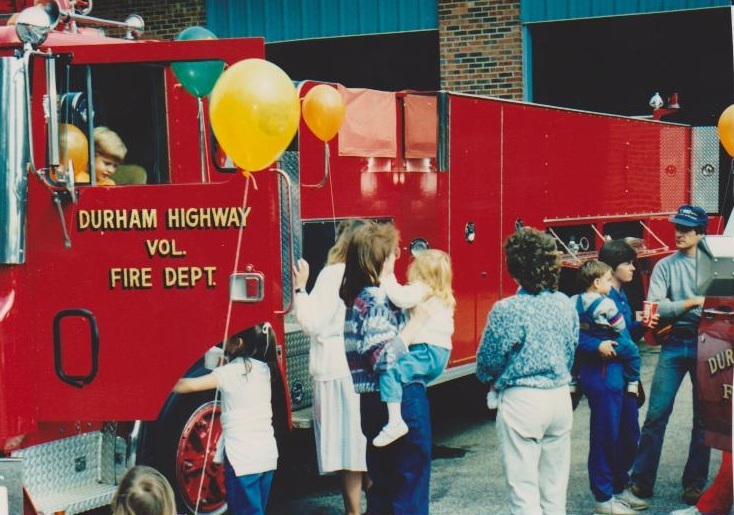 From school and station visits, birthday parties, free smoke detectors, and assisting you in developing home escape plans Durham Highway is here to help. Call us today for more information on any of these or other programs. 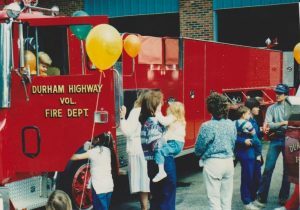 For over 20 years Durham Highway has held an annual Public Safety Day. Each September, we kick off the fire education season with interactive displays and events at Leesville High School. 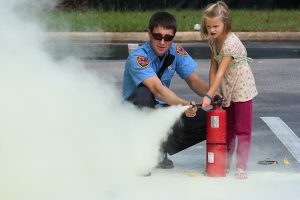 Come see fire trucks, live demonstrations, and grab a hot dog with us. Durham Highway now has a safe exchange zone which is monitored 24 hours a day. Located at our Station 1, this service provides our community with a safe place to conduct internet transactions. Each Fourth of July Durham Highway participates in various neighborhood parades and events. To schedule yours call our station at 919-676-4187 any time in June. Just in time for the holidays each December Durham Highway hosts and annual open house with cookies, hot chocolate, and the opportunity to donate to Toys for Tots. During this time, we also have a special visit from Santa who arrives to hear wish-lists from kids in our community and hand out candy canes. Come back for more information on dates and times of this event.